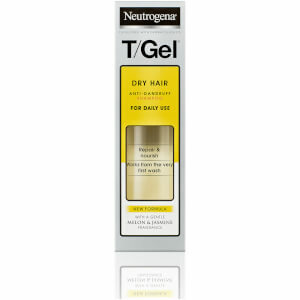 Combat unwanted dandruff with the Neutrogena T/Gel Anti-Dandruff Shampoo for Dry Hair; an effective cleansing formula that refreshes hair, whilst relieving an irritated scalp. The lathering shampoo performs a thorough cleansing action on hair, which eliminates dirt, oil and impurities to reveal clean and healthy locks. 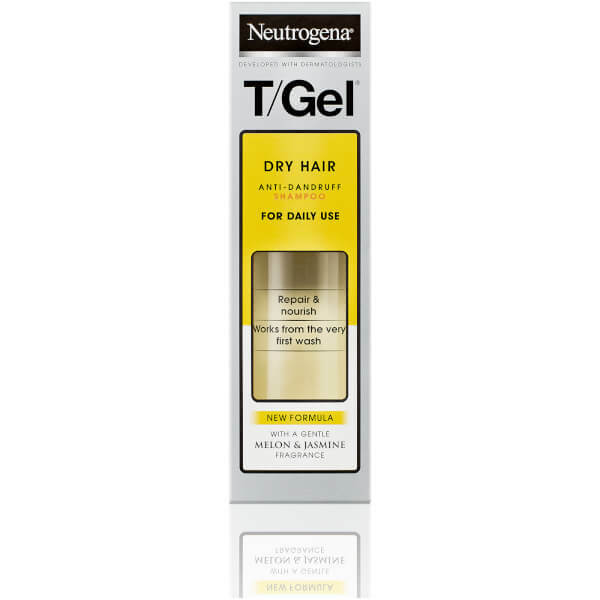 Developed specifically for those with dry and brittle hair types, the formula boasts added conditioners to re-hydrate tresses, whilst moisturising the scalp. Harnessing the powers of Salicylic acid, the shampoo targets flakes in hair, splitting them into smaller pieces that are effortlessly rinsed away during shampooing. 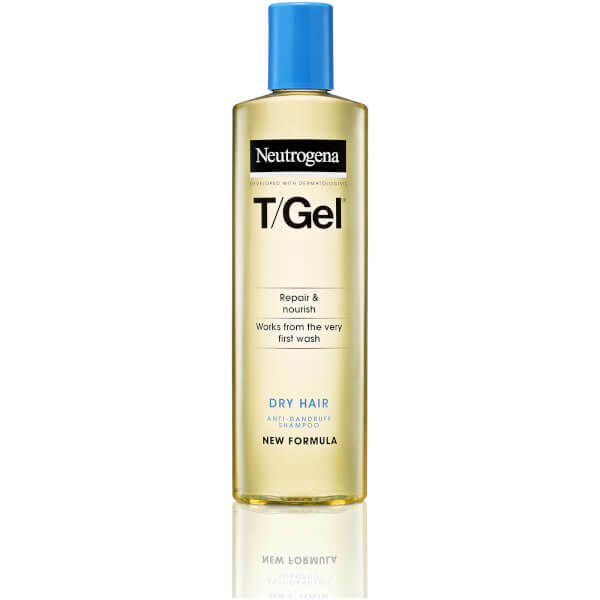 Without stripping the scalp or hair of natural and essential oils, the shampoo relieves dry, tight and irritated scalps to reveal healthy looking hair that is touchably soft and flake-free. Expect a comfortable scalp. [PR-012082] Aqua, Sodium C14-16 Olefin Sulfonate, Cocamidopropyl Betaine, Salicylic Acid, Sodium Chloride, Linoleamidopropyl PG-Dimonium Chloride Phosphate, Propylene Glycol, Hexylene Glycol, Cocamidopropylamine Oxide, Polyquaternium-22, Sodium Sulfate, Disodium EDTA, Sodium Citrate, Tocopheryl Acetate, Phenoxyethanol, Methylparaben, Piroctone Olamine, Propylparaben, Ethylparaben, Parfum.